"Skin in the game is the ultimate BS filter and the engine of evolution. Do not pay attention to what people say, only to what they do and how much of their neck they are putting on the line." Citizens, artisans, police, fishermen, political activists and entrepreneurs all have skin in the game. Policy wonks, corporate executives, many academics, bankers and most journalists don't. It's all about having something to lose and sharing risks with others. 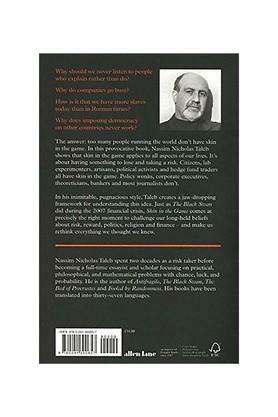 in his most provocative and practical book yet, Nassim Nicholas Taleb shows that skin in the game, often seen as the foundation of risk management, in fact applies to all aspects of our lives. In his inimitable style, Taleb draws on everything from Antaeus the Giant to Hammurabi to Donald Trump, from ethics to used car salesmen, to create a jaw-dropping framework for understanding this idea. Among his insights:For social justice, focus on symmetry and risk sharing.Minorities, not majorities, run the world.You can be an intellectual yet still be an idiot. Beware of complicated solutions (that someone was paid to find). 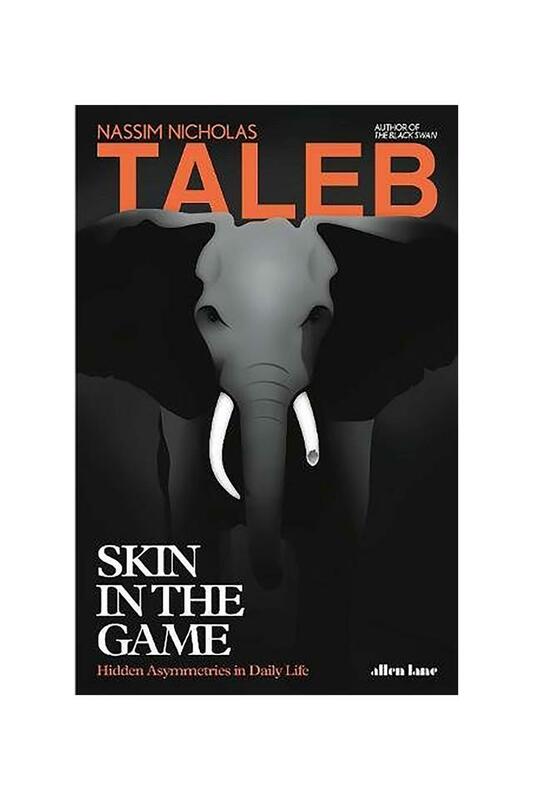 Just as the Black Swan did during the 2007 financial crisis, Skin in the Game comes at precisely the right moment to challenge our long-held beliefs about risk, reward, politics, religion and business - and make us rethink everything we thought we knew.